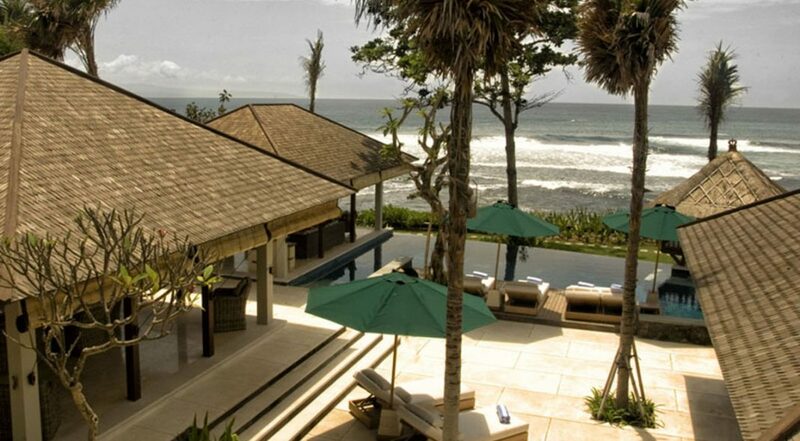 From $ 1,340AUD per night We have direct contracts with most villa owners. We don't add any booking fees. We are 100% transparent with no nasty surprises. 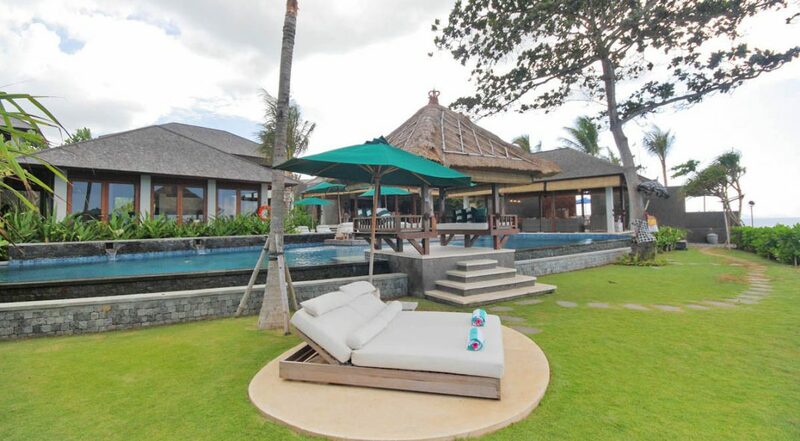 AMAZING beachfront location in Sanur - rent this today! 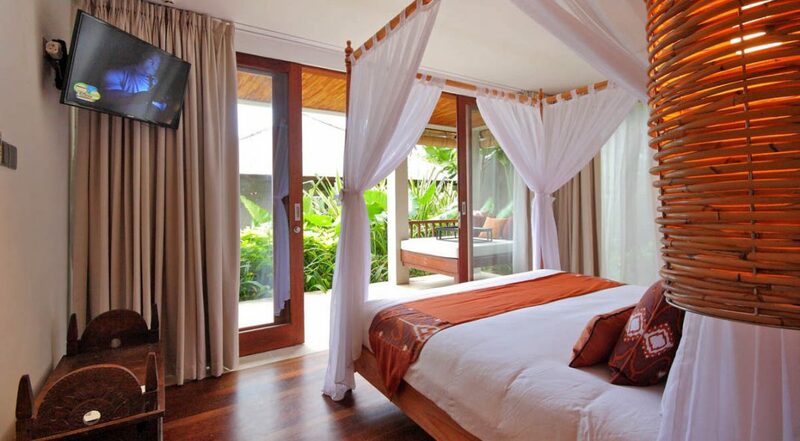 Tremendous value considering the stunning location and the fact you are getting your own private pool villa with staff. This has everything you could ever want for a perfect holiday. 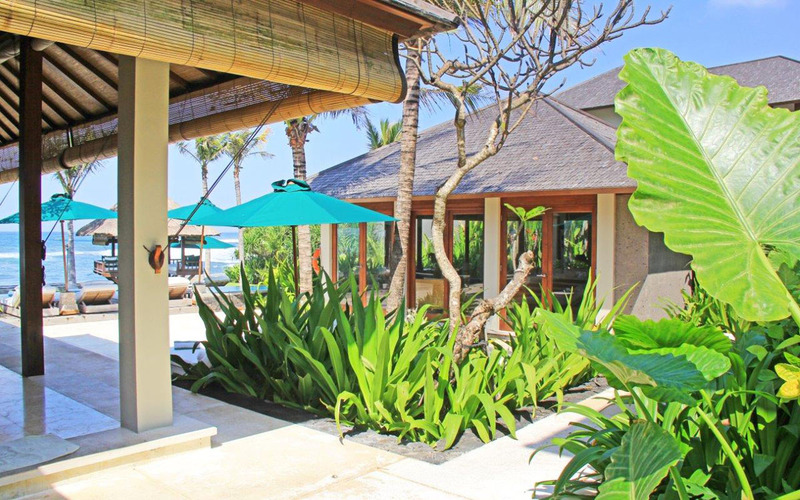 Villa Puri Awani is a wonderful beachfront 4 bedroom Sanur holiday villa rental in the gorgeous & laid back village of Ketewel just a short drive past the popular tourist area of Sanur. 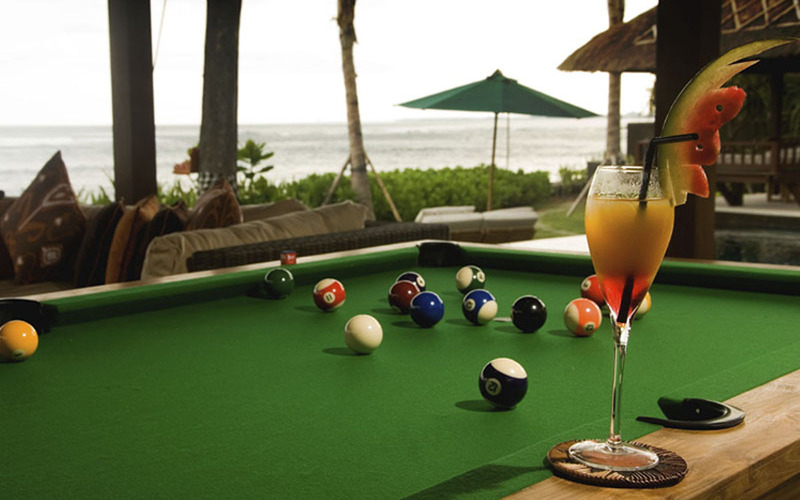 Four king size bedroom suites all offer fantastic ocean views, a huge games and media room right beside the sparkling infinity pool, just meters from the sands of Pabean Beach. 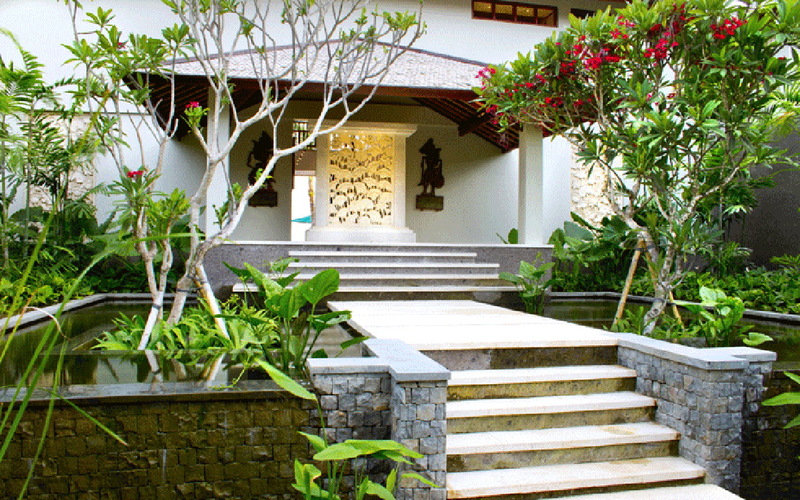 You will be well looked after by the professional staff and have access to the Anapuri Spa and fitness centre. 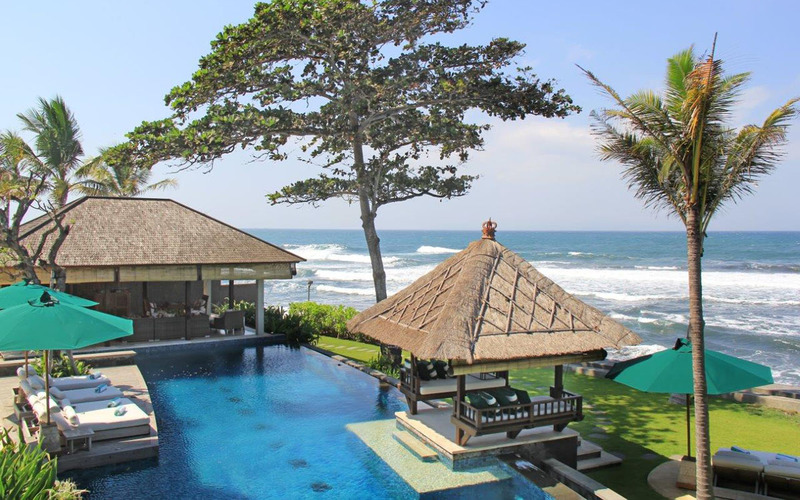 The outdoor setting at Villa Puri Awani is nothing short of sublime, uninterrupted ocean views can be enjoyed from your private infinity swimming pool, the expansive pool decks and the relaxation bale almost sits on the sand. Enjoy refreshing ocean breezes, take a walk along your almost private beach, stretch out on a large day bed or curl up in the pool side bale with a book or maybe the daily newspaper from home delivered by your personal butler. 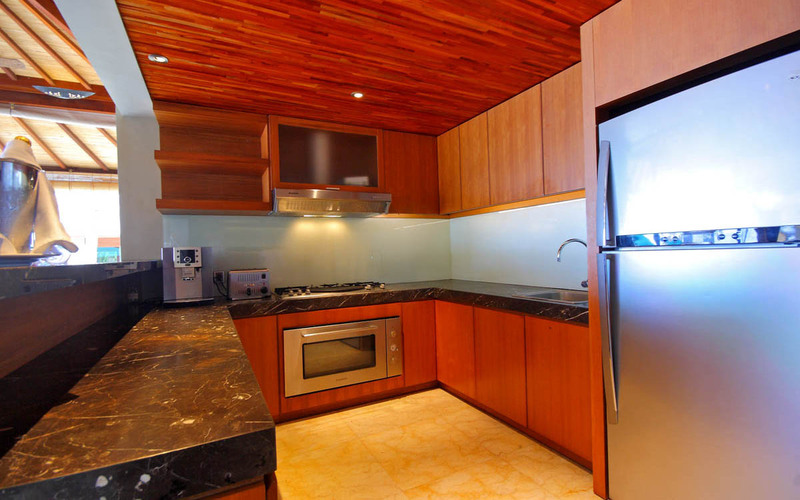 The kitchen and casual dining area is open-air, a well equipped kitchen has all the modern appliances for you do to do your own cooking or let the in-house chef look after all your culinary needs. 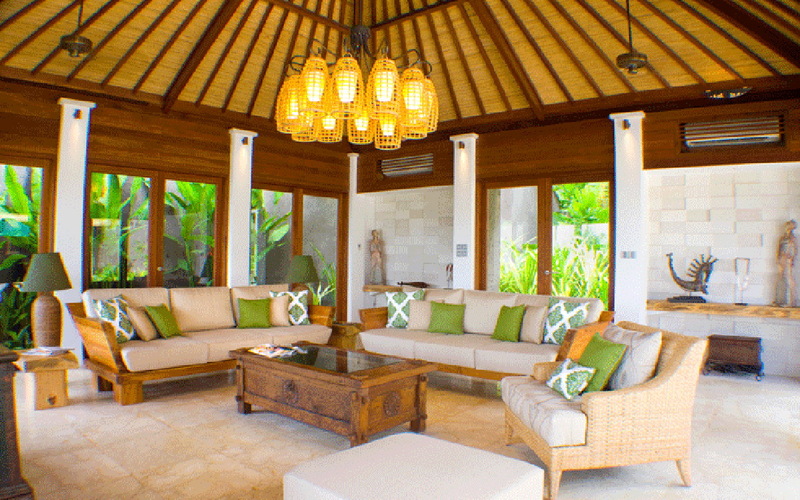 A circular glass table with rattan chairs is by the pool for lunchtime snacks in between swims and sun-baking. 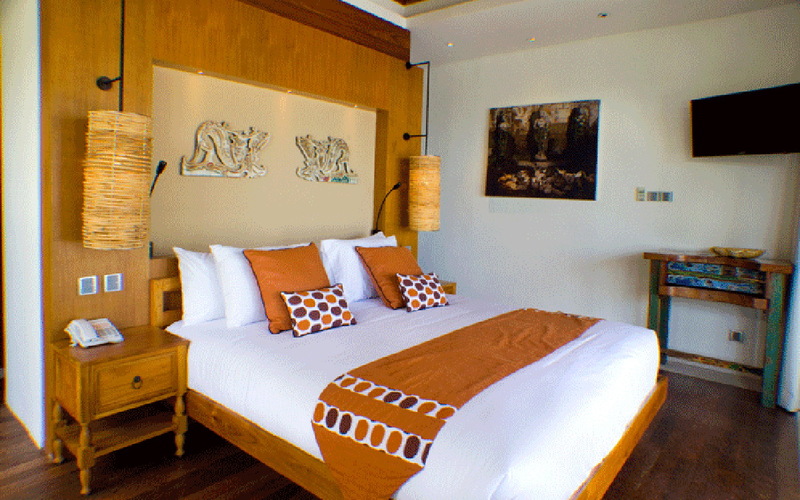 There is an air-conditioned lounge room with a huge plush sofa and LCD TV. 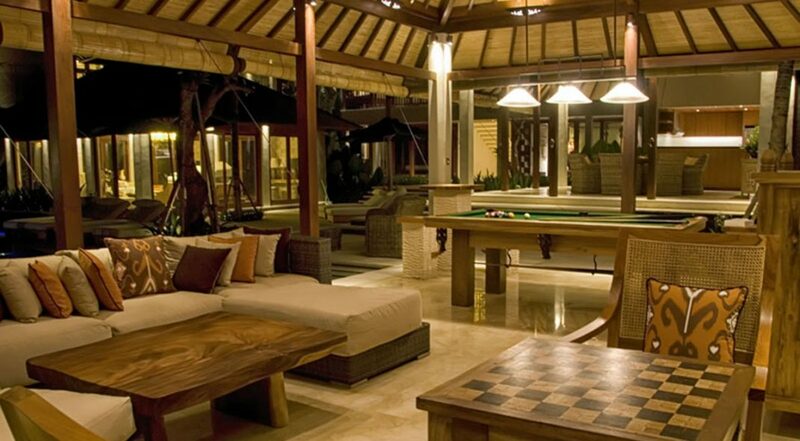 The adjacent games room has a billiards table, X-box, darts board, separate media room, chess boards, movies on cable and a table tennis table, the kids will be ecstatic. 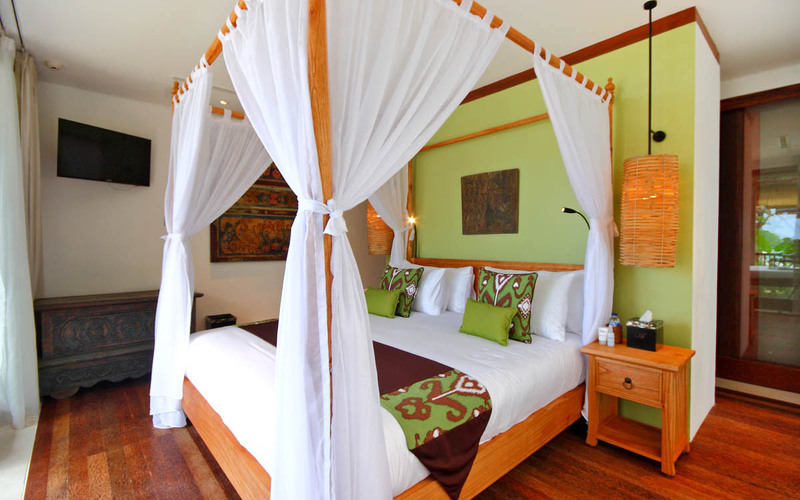 Four tastefully appointed bedroom suites accommodate up to 8 guests, three rooms feature king size beds and the fourth twin beds that can be converted to a fourth king. Private balconies offer beautiful ocean views, what a way to wake up in the morning after a deep sleep in your premium bedding. 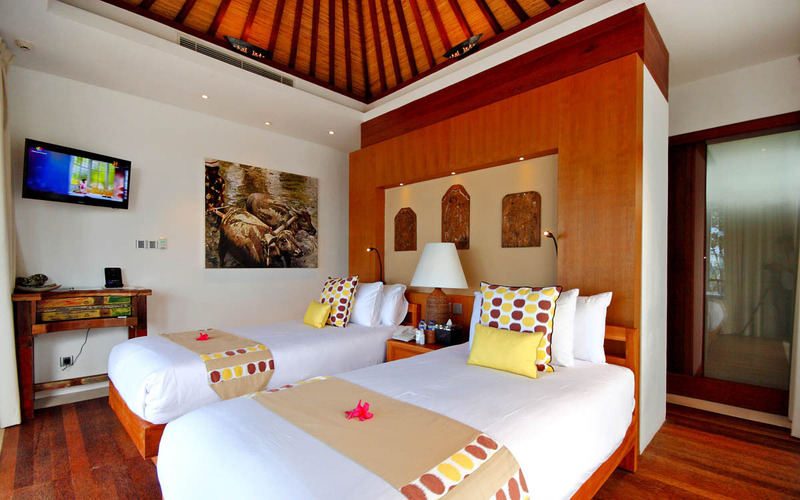 Natural light makes the room’s cheery and custom timber furnishings finish off the rooms beautifully. 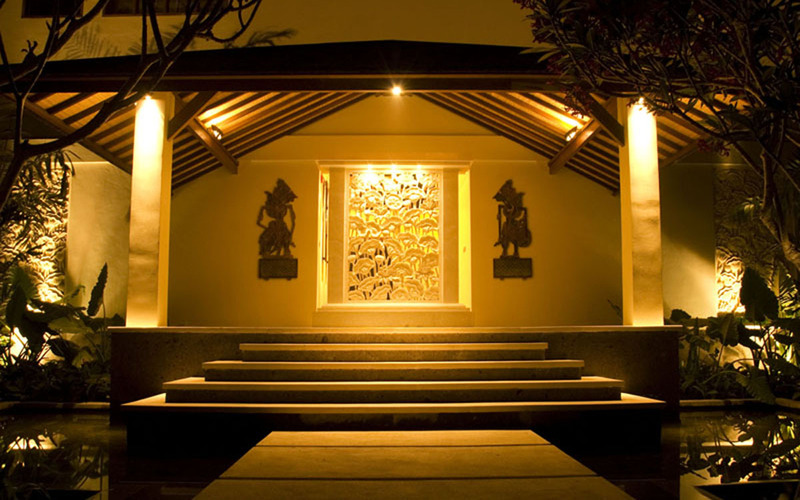 Guests of Villa Puri Awani will enjoy 5 star services from the friendly staff and enjoy extra services including the beauty salon, organically grown on site foods, service from private chefs and bartenders, luxury saloon with driver, conference room, signature spa services and a fantastic fully equipped gym. 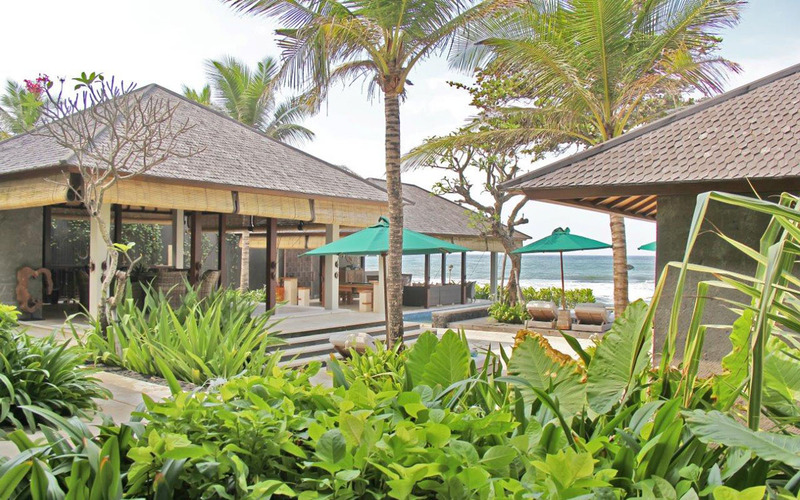 The villa is located right on Pabean Beach , Ketewel just 15 mins drive from the popular tourist precinct of Sanur where you can find the full array of beach front restaurants, cafes, supermarkets, ATM’s and souvenir shops for some shopping. Make sure you come down to Sanur at sunset and enjoy a cold Bintang and watch the great atmosphere. 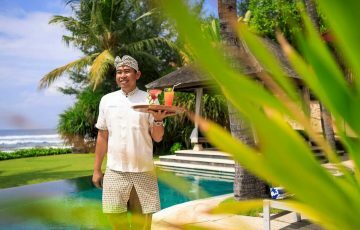 Guests can travel a short distance to Ubud to explore everything that is art and culture, maybe some ribs at Naughty Nuris or crispy duck at Bebek Bugil. 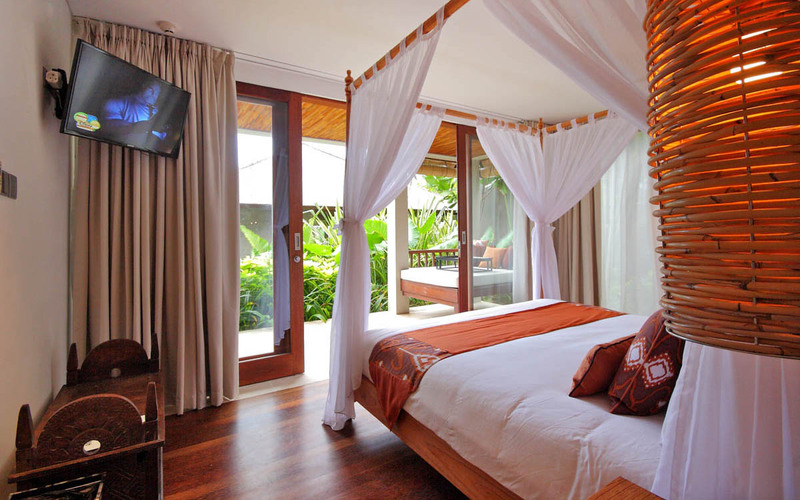 The Bali Safari & Marine Park, Bali Bird Park is nearby for the kids along with white water rafting. 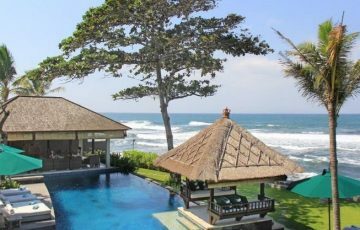 If your love your surfing then your in a real treat as the famous and very popular Keramas beach is close by. 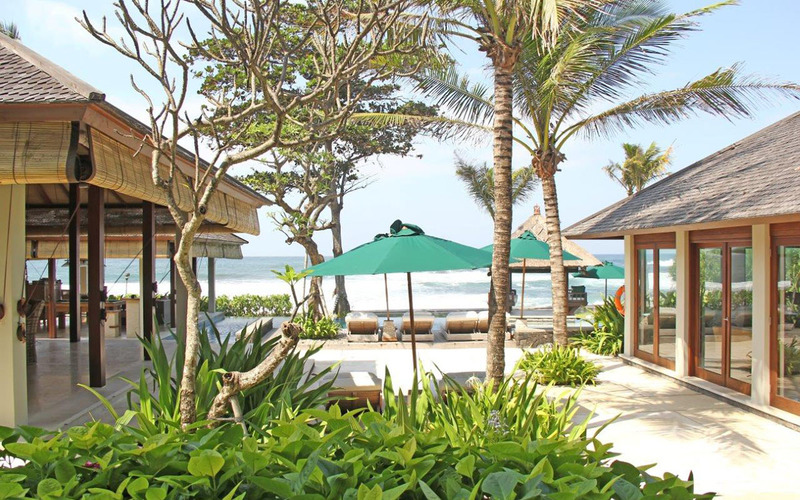 This is one of Bali’s best surf spots so take your board! 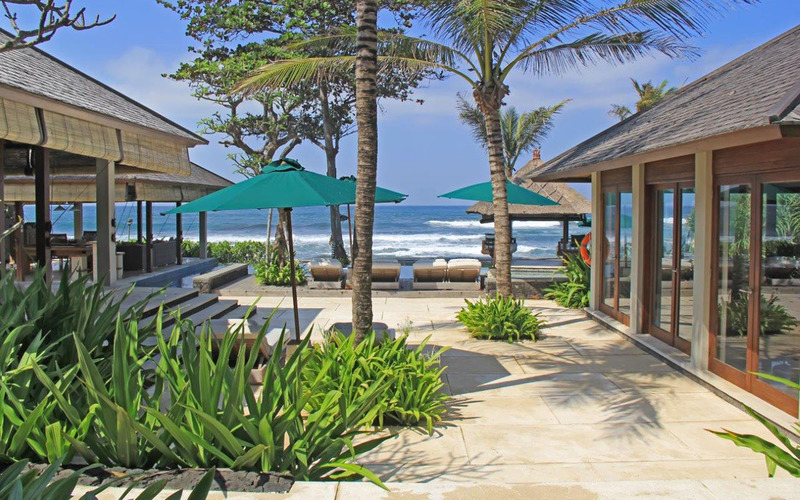 To see other 4 bedroom Bali villas or Sanur villas in the same price range and area please browse this website or contact our reservation team. 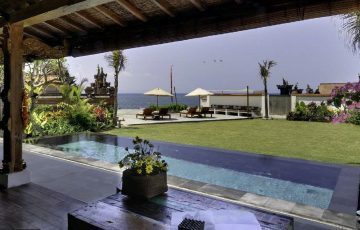 Book your Sanur holiday at Villa Puri Awani well in advance as this is a popular villa, especially if your planning a trip to Bali during the Australian school or public holidays. 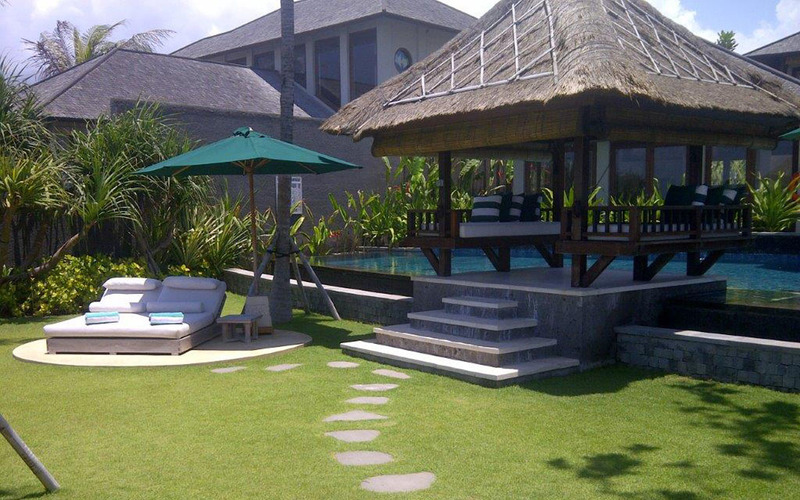 We were so happy that we were able to get this villa for our family holiday over the new years period. 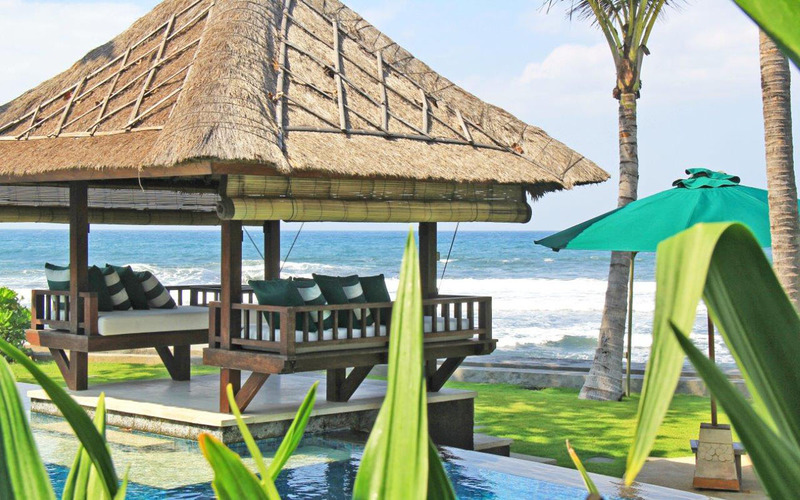 We absolutely love being in a much more quieter and more relaxed area of Bali where we can lay in bed and hear the sound of the waves at night. Pure holiday bliss. Came here with our 3 teenage kids and from day 1 Villa Puri Awani kept on delivering 5 star service by the staff. 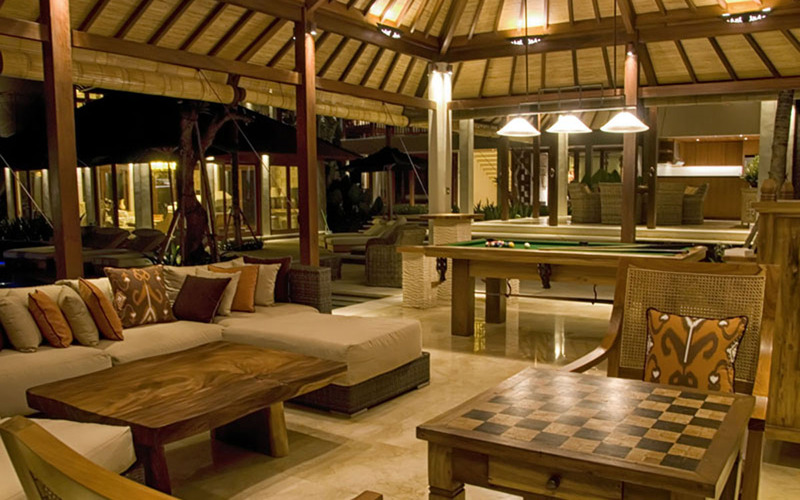 The villa was immaculate. If there was anything out of place it was immediately cleaned. The rooms were spacious, modern and we liked the fact that there was lots of room as I do know my kids like their private time. We spent most of the time at the villa because there was really no point in leaving. We had everything we needed including a really good chef who was really keen to whip us up meals and snacks. having said that there was a car and driver on stand by so we did take advantage of that and made a few shopping trips into Seminyak and a day trip to Ubud to see the monkey forest. But, we all couldn't wait to get back tot he villa and enjoy it's magic. Loved being right on the ocean. 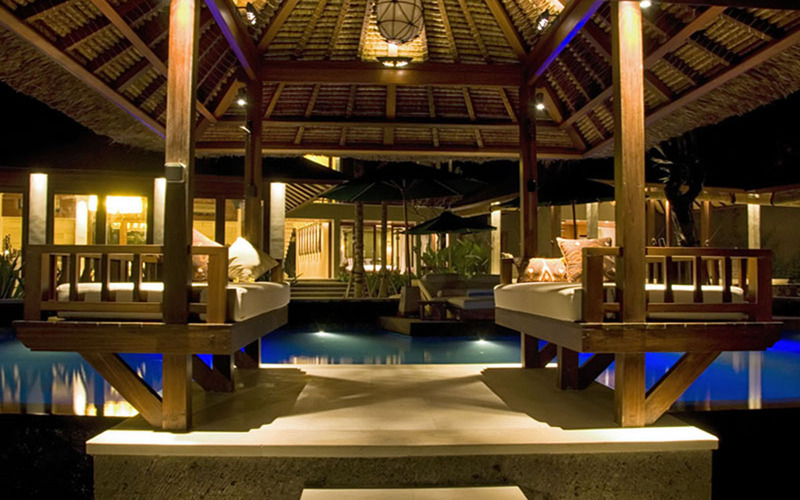 It is a tad more pricey than some other villas we did research but when you get here you will appreciate where that money has gone. It is for our family a once in a life time experience and I think it's well worth it. 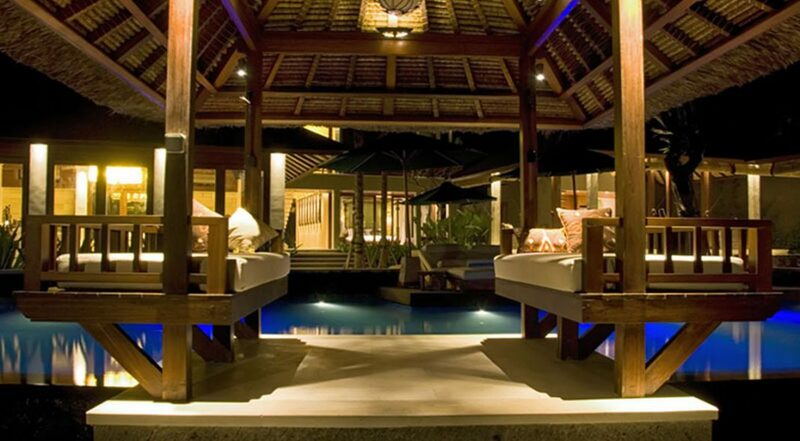 This villa delivers the WOW factor on so many levels. I know it's a cliche but it's hard to describe it without using these words. Having a beach holiday is exactly what our group of 5 girls wanted. 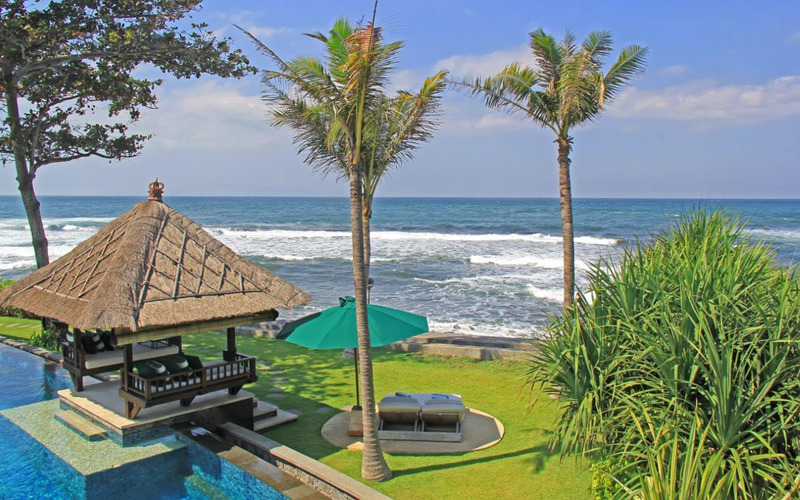 We definitely dint want to be in other busy parts of Bali and were looking for a villa where we could all unwind, relax and feel like we are a 1000 miles away from the worries of the world. We found it here. To add to the experience the staff were amazing and I loved those cocktails prepared for us by the pool at sunset by our own bartender - what a treat and what a memorable holiday. 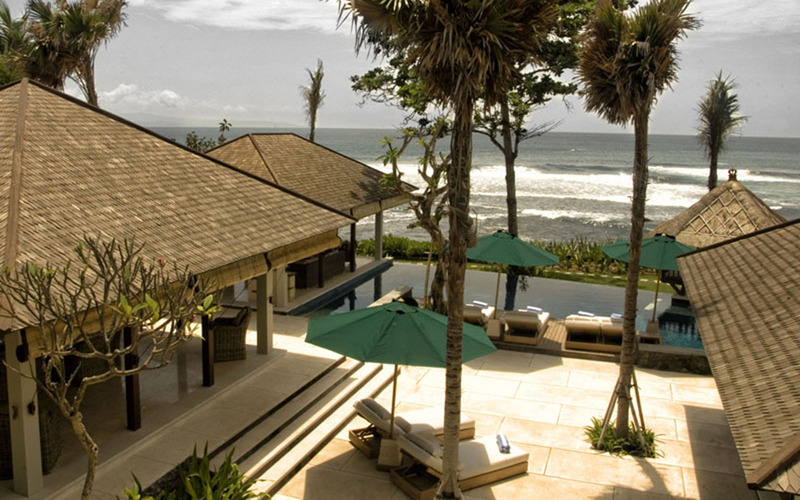 A dream villa. 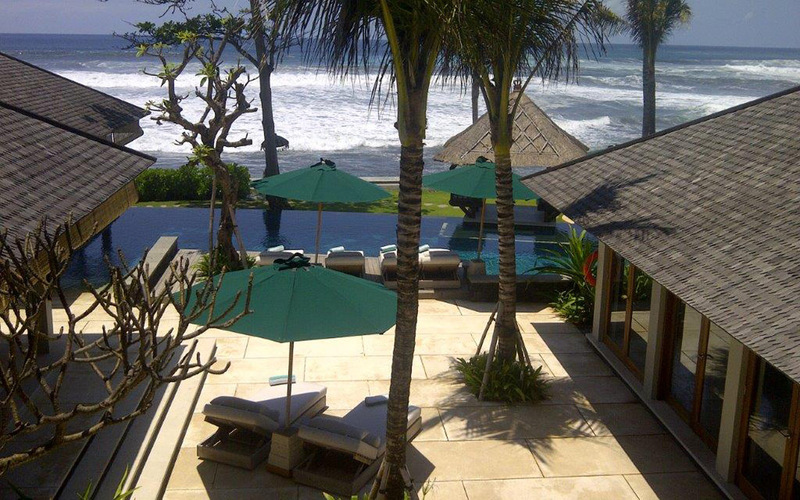 Magnificent location and unparalleled service by the villa staff. 10 out of 10 and we are definitley coming back next year with another family. 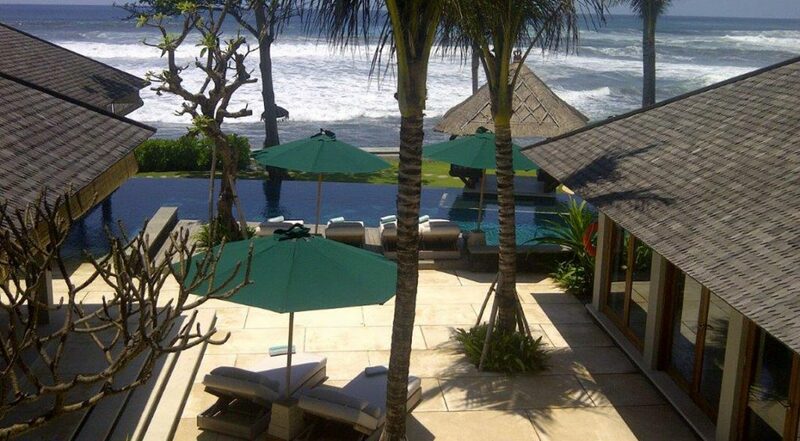 An absolute pleasure to be able to spend our family time at this sensational villa. Unparalleled luxury with 5 star service the whole way. Amazing beach location, really laid back and I now feel ready to take on the world again. 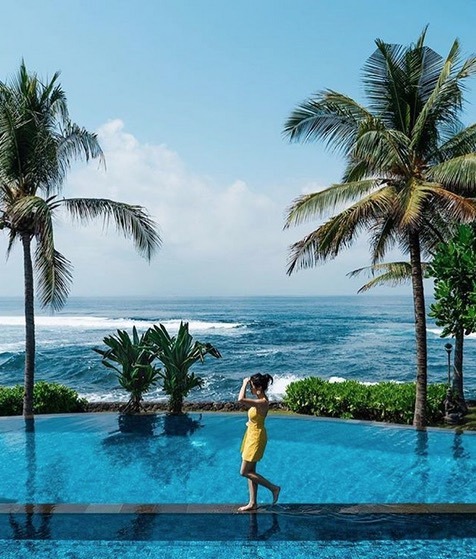 I'm not saying this lightly when I tell you that if you want to experience pure bliss and total relaxation on your next holiday in Bali you should really spend some time here. It is faultless! 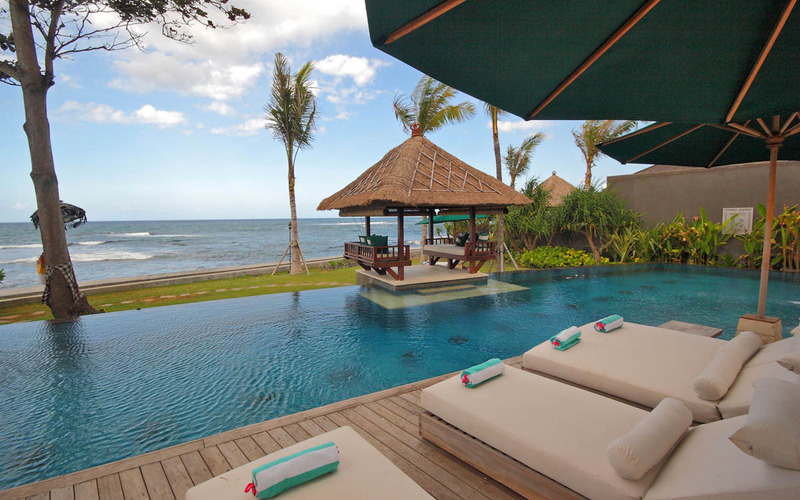 Love the Sanur location. Amazing staff, Putu your a legend!! Cannot wait to take the kids back here again for the school holidays.